Purchasing a rowing machine can be a significant investment, but the selection of a good rowing machine is not an easy task. It becomes hard to take a decision with so many brands, models and types out there. All types and brands have their good and bad points. We have summarized the reviews of the best rowers and in-depth guides to provide you the details that you need to make the right purchase. When you take a decision to improve your health, your first step will be the selection of right equipment. A rowing machine is probably an ideal way to work toward your physical fitness. The best rowing machine can help you to tone and build your muscles, boost your stamina and reinforce your cardiovascular function. These devices are efficient for fitness enthusiasts because these machines put no strain on your joints and back. Rowing can rapidly burn calories, and it is suitable for your workout goal. An energetic workout on a rowing machine can help you to burn almost 377 calories only in 30 minutes. Rowing uses all muscle groups in your body with a slight pressure on your joints. Rowing machines work on their hips, buttocks, and legs. In the first step, you have to set your budget and set aside a reasonable amount to buy a quality product to use on a regular basis. Two types of rowing machines are available in the market, such as folding type and fixed type. Folding type machines take less space as compared to fixed machines that require more space. Fixed machines can be more durable, but the indoor users prefer folding machines. There are three main types of rowing machine according to their resistance system, water rowing machines, hydraulic, air rowing machine, and magnetic rowing machines. The water machine uses water pressure to provide resistance. The air machine uses flywheels to provide necessary resistance. Hydraulic machines have cylinder filled with oil to produce resistance. 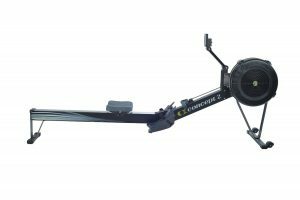 Magnetic rowing machines offer adjustable resistance with the use of magnets. Make sure to check sliding and seat track because the rowers should be constructed with durable material and offer strong grip for rowing operations. The seat material and length of the slide track matters a lot. Make sure to check these things before purchasing a rowing machine to get a durable product. 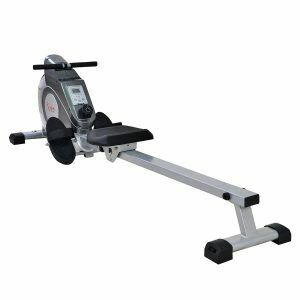 While purchasing rowing machine, you should prefer quality because quality machines come with reliable and unique features than ordinary machines. Finally, you have to check the warranty of your selected rowing machine. Some companies offer almost two years warranty on their products. It will help you to contact them for maintenance issues easily. Special Features: Magnetic tension with eight levels of resistance, LCD console to display scan, total count, calorie and speed, padded seat and handlebars with non-slip grip for maximum comfort, anti-slip pedals with adjustable straps, large anti-slip pedals, provide low impact cardiovascular and aerobic exercises, built-in wheels for easy transportation, maximum weight range is 250 lbs. Sunny health and fitness offers SF-RW5515 with amazing features and all necessities for your cardio workout. It is reliable to facilitate all fitness enthusiasts at home. SF-RW5515 enables you to complete your workout within the comfort and convenience of your home. With the help of LCD monitor, you can track your workout progress by monitoring your time, calories, total count, and scan. It helps you to see your progress and meet all your fitness goals. It is easy to switch up the intensity with a tension knob. This knob will help you to get the advantage of 8 levels of tension. Just twist the knob and decrease or increase magnetic resistance so that your workout remains efficient and challenging throughout your fitness expedition. It is perfect for any skill level. Durable and large pedals help you to work with safety straps. Non-slip surface and high-quality straps keep your feet in place throughout your workout routine. Regardless of the intensity of your workout, the stability of the rowing machine will not be compromised. Cushioned seat offers ultimate comfort during rowing exercises. With its comfortable seat, you can get the advantage of stronger and longer workout. Special Features: Compact footprint 23.5×46-inches, adaptable gas-shock resistance, monitor shows calories burned, time and stroke count, durable steel frame construction, easy storage with foldable design, feel fluid during rowing motion, movable seat as per the height of person, one-year warranty for frame and 90-day warranty on parts, floor protectors to avoid damaging and scraping floors, modifiable resistance for rigorous and challenging exercises, burn 800 calories in almost one hour, durable machine with display module. If you want to look for a total-body and low-impact workout, the Trac Glider 1050 can be a good choice for you. The rowing helps you to build your cardiovascular endurance and strength of arms, shoulders, back, glutes, hamstrings and quads. This space saving and affordable rowers are great to match with everyone’s budget and needs. 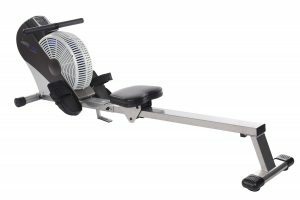 This space-saving resistance rower will fit your budget, schedule and living space. Feel the smoothness of workout with wind-resistance rower based on your intensity and stroke speed. You can easily track your workout with an electronic monitor. The fitness meter can track the number of strokes, time and estimate the total amount of burned calories. You can adjust the seat as per your height for an easy workout. This machine enables you to do different workout to strengthen your muscle groups that are different to work when biking or running. Special Features: Wind-resistance machine, multi-purpose performance monitor to display calories burned, time, distance and speed, upholstered and padded seat, comfortable and large footplates for all users, angled and over-sized seat rail for convenient sliding, built-in wheels for easy movement, foldable machine for storage, floor protectors to avoid skidding, 3-year frame warranty, and 90-day parts warranty. If you are in search of a total-body and low-impact workout, the Stamina Air Rower can be a good choice for you. Rowing enables you to build your cardiovascular endurance and strengthens and sculpts your hamstrings, back, quads, shoulders, arms and glutes. Stamina can produce an extensive line of the versatile rowing machine. From space-saving and affordable rowers to commercial-quality features, this machine is good to satisfy your budget and needs. BodyTrac Glider is designed for space-saving, convenient and hydraulic resistance. The glider will fit in your budget, schedule and living space. This unique and space-saving rower offers a smooth experience in your office or home with its ball-bearing roller and hydraulic resistance. Enjoy the breeze with wind-resistance and traditional rower that adjusts as per your stroke intensity and speed. The air rower ATS 1405 can take your workout to a new level. This wind-resistance rower lasts longer and enables you to enjoy a smooth workout. The conversion II reclining rower can maximize your strength and endurance, and facilitate best low-impact workout. The Stamina Air Rower is great enough for the novice, intermediate and advanced users. As per the manufacturer, almost 250 pounds is the weight limit of Stamina Air Rower. Special Features: Aluminum beam construction, ball-bearing rollers for smooth rowing strokes and gliding of seat, pivoting footplates, adjustable straps for a full range of motion, commercial quality machine with 16 levels of quiet and smooth operations, built-in wheels and advanced floor protectors, multifunctional and backlit monitor to show strokes, distance, calories burned and workout time, four personalized and nine pre-set programs to monitor heart rate, durable foam padded comfortable handles and rowing strap, and multi-purpose holder to carry your favorite drink, phone, and other devices. 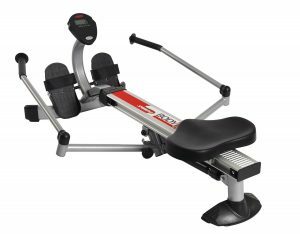 This Stamina Deluxe rower machine is particular for its magnetic resistance. It utilizes electromagnets to slow down the spinning flywheel. The Flywheel housing spins while rowing to create resistance. The flywheel housing has magnets used to slow down the flywheel spinning. Magnets are specially used to make spinning tough. Higher resistance level will make it harder for you to row because the magnets are making your work harder. The range of resistance is excellent for different users because it can entertain the people looking for low to high levels of resistance. Stamina Deluxe offers a control panel to monitor your workout data. One data will display at a time, and you can manually change the monitor. 2 AA batteries power this monitor. It is 3-in-1 machine with pulling and biking facilities. Special Features: Multi-function performance monitor to display calories burned, time, distance, and display speed, foam padded comfortable seat, ball bearing rollers for easy sliding, over-sized chrome seat for smooth sliding, portability wheels, foldable features, 3-year frame warranty and 73 pounds weight of machine, backlit LED screen, scan mode displays every data set for 6 seconds, user weight maximum range is 250 lbs. The ATS 1405 Stamina Air Rower is mainly designed by considering users. You can sit on the comfortable seat for your workout. This durable machine is easy for storage and footrests will balance your machine without affecting your floor. Advanced metal pull chain makes it convenient to perform your rowing exercises. This budget-friendly rowing machine creates excellent resistance. To create maximum resistance, you can row harder or faster. Faster flywheels spins will create more wind and increase resistance. For better performance, you can row forcefully for one minute at high resistance and slow down for almost 30 seconds to catch your breath. Its comfortable padded seat can smoothly move on its inclined rail. The air rowers will make a whooshing noise as you pull the handles with your both hands and turn the flywheel. The display control panel/monitor can display some strokes, SPM (strokes per minute), time, distance, speed, and calories burned. 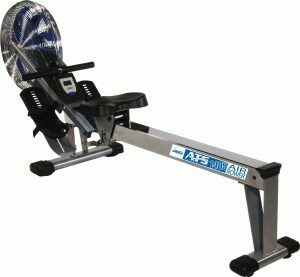 ATS 1405 Stamina Air Rower is designed for users weight almost 250 lbs to 300 lbs. It is suitable for even 6’5” tall users. Special Features: LCD digital high resolution display to easily read workout data, display provide frequency, pulse rate, strokes, energy consumed, distance and time, two hydraulic pistons for resistance with adjustment knobs to vary the level of resistance, earlobe clip sensor to measure your pulse rate, resistance level can be changed with the use of adjustment knobs while setting from 1 – 12 providing a challenging and wide resistance range, biomechanically accurate footplates offer natural pivoting action for longitudinal rowing motion, seat with thick padding and sealed ball bearings offer maximum comfort and smooth performance. Kettler Kadett machine is available at an attractive price, and this German manufactured machine can be an excellent choice for serious users. This top-rated rowing machine is an efficient and reliable piece of equipment. 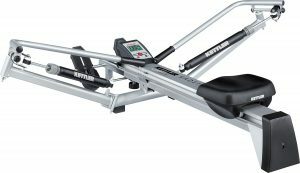 This hydraulic rower provides 12 levels of adjustable resistance. This machine is ideal for the people of different fitness levels. With its multifunctional monitor, it can monitor your pulse rate, speed, and strokes. The machine uses two pistons, and the one is attached to every rowing arm. It enables users to adjust the resistance of each arm. If your right arm is weaker than your left arm, you can adjust the resistance level by reducing the resistance of right arm. 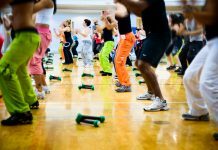 With 12 resistance levels, maximum people can get the advantage of their required workout. You can adjust resistance by turning the collar located on the piston. The broad resistance levels make this machine ideal for beginners and elite athletes. Control/monitor panel comes with multifunctional performance to track workout time, oar stroke numbers, speed and frequency of strokes, total distance, rowing session, energy consumption and pulse rate. 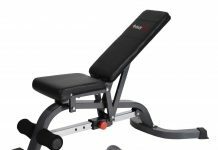 With a thick and padded seat, it is comfortable to sit on this machine and complete your workout. The seat contains durable rollers that are better than cheap rollers. The sealed bearing eliminates the requirement of lubrication. Handles are constructed of plastic so you have to wear gloves while workout. The capacity of the Kettler Kadett is almost 285 pounds. 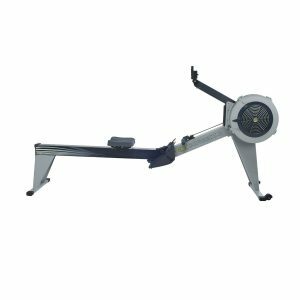 The footplates feature telescopic design to adjust rower for your leg easily. Special Features: Adjustable fluid resistance, replicate the sound and sight of water rowing, 300 lbs. weight capacity, computer console to display, calories, distance, split time, heart rate, watts and strokes per minute, and adjustable footplates. 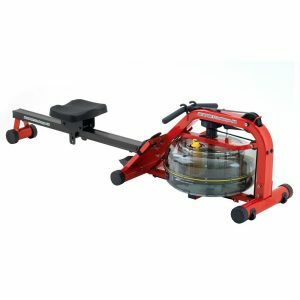 First Degree rowing machine is constructed with aluminum, and red finish gives a sleek look to this machine. It holds more water to give you a challenging workout. Adjustable levels of the fluid resistance range from MIN – MAX that can be adjustable with one dial. Unlike other water rowers, you will not experience any dead spots with its ergonomically-designed seat; you can enjoy a comfortable workout for a longer period. The seat moves on the bearings with seat rollers (low-friction) for smooth rowing. The ergonomic handle avoids any arm, hand, and wrist strain. With its built-in monitor, it enables you to track your stats, such as heart rate, strokes in one minute and calories, distance and 500M split time. The weight of this machine is only 57 pounds, and it can accommodate the users of almost 300 pounds. Special Features: Low-impact workout for full body, flywheel design to reduce noise and maximize smooth feel, give you comparable and accurate data for rowing, modifiable monitor arm, nickel-plated chain, 14-inch seat and adjustable ergonomic handle and footrests, easy to store and move with caster wheels, require 9×4 feet footprint and have 500-pound capacity, adjustable monitor, quick-release frame lock, battery power method, reduce noise with particular fan, Aluminum rail capped with durable stainless steel track for easy movement of seat, PM5 monitor to access LogCard data, 5 years warranty on frame and 2 years warranty for parts. Concept2 Model D rowing machine can be an excellent choice for indoor rower. It is useful for a cardiovascular workout to increase your fitness level and tone your body. With this rowing machine, you can enjoy a good workout in the comfort of your home. This model is specially designed to last a lifetime, and it is equally good for elite-level and Olympic athletes to train their body for the sport. The Concept2 Model D is available in 2 colors, black or light gray. With performance monitor 5, this rowing machine is better than other training machines. Every D-model includes PM5 advanced monitors to get accurate and comparable data for your each row. With it backlight, it is easy to view data of your workout. It has compatibility with USB drives; hence, you can store your data and wirelessly monitor your heart rate. With adjustable control arm, you can position your monitor as per your convenience. The Concept2 Model D rowing machines respond on your every stroke to control your resistance and exertion. The twisting damper enables you to adjust the airflow of your flywheel and change the feel of stroke to suit your needs. The flywheel is mainly designed to reduce noise and maximize your smooth feel. With its quick-release frame lock mechanism, you can separate this machine into two pieces for easy storage. The adjustable footrests accommodate every shoe size. Comfortable ergonomics handle feature 10-degree bend to row with a natural hand and arm position. Special Features: Low-impact workout for full body, flywheel design reduces noise and maximizes the soothe feel, PM5 to monitor comparable and accurate data for each row, adaptable monitor arm, 20-inch height of seat, nickel-plated chain, ergonomic handle and adjustable footrests, easy to separate into 2 pieces for storage, easy to move with caster wheels, five year frame warranty, 9×4 feet footprint, 500-pound capacity, preset games and workouts, easy to assemble and suitable for gym and home use. The Concept2 Model E offers durability with the 20-inch high frame, nickel-plated chain and double powder coat with a shiny finish. With its high frame, it is easy to adjust the mobility of your tired knees. The special nickel-plated chain reduces the requirement of frequent oiling. This luxury machine is great for the gym and home users. 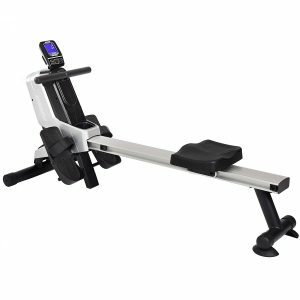 Sleek and solid black or light gray rowing machine provides an unparalleled workout for indoor rowers. The PM5 (performance monitor) is available with every model of Concept2. It provides comparable and accurate data for every row. The backlight increases the compatibility and visibility with USB drive. It is easy to monitor your heart rate wirelessly. The spiral damper enables you to easily adjust the airflow to the flywheel to change the feel of stroke. The special flywheel design maximizes its smooth feel and reduces noise. Concept2 Model E features framelock with quick release mechanism for easy storage into two pieces. Seat height is comfortable for your knees to enjoy a stable workout. Special Features: Handcrafter rowing machine with water flywheel to replicate great rowing feel, flywheel remains enclosed in water tank for quiet, self-regulated and smooth resistance, series 4 monitor tracks intensity of workout, heart rate and stroke rate, solid stained and ash honey oak design to absorb vibration and sound, upright measurements are 84 x 21 x 22 inches (W x H x D) and total weight is 117 pounds. It is naturally handcrafted WaterRower designed with solid ash wood and finished with Danish oil and oak stain. 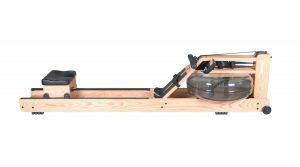 The patented WaterRower has a particular design to emulate the subtleties of dynamics of a boat moving and unrivaled in the physiological and physical rowing benefits. WaterRower machine provides realistic rowing experience without any noise. It uses paddles suspended or water flywheel in one water tank to provide necessary resistance for rowers. Magnetic resistance and hydraulic piston unit make it unique for resistance. If you want to do it with easy, the row with the low intensity and you will not feel extra resistance. For an intense workout, you can row machine with extra intensity and feel more resistance. It is easy to adjust the rowing intensity by subtracting or adding water from the water tank. Maximum water can increase the intensity of rowing by making it heavy. Less water will make your machine lighter and help you to perform the low-intensity workout. The control and monitor panel comes with S4 multifunctional fitness monitor to track the intensity of your workout, heart rate, fitness size, duration, and distance. The intensity window display time in hours, seconds, decimal seconds and minutes. The solid wood Ash construction makes this machine ideal and durable for absorbing vibration and sound. The water tank is constructed with polycarbonate and virtually indestructible. What is the best Rowing Machine? The best rowing machine provides you full body activity and increases your strength and stamina. It proves good to reduce weight and increase your strength. It reduces the chances of cardiovascular activity and helps you to tone your muscles. If you want to get one of the top rowing machines, make sure to consider its features, such as air resistance, water resistance, magnetic resistance, and hydraulic/piston resistance. The best rowers have a padded comfortable seat with adjustable features. 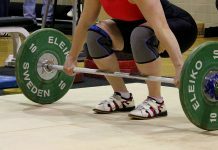 The noise level is an important feature to consider for indoor rowing machines. 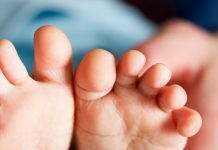 East of assembly and warranty are two important factors to consider. Your selected machine should be easy to assemble and offer a decent warranty for frame and parts of your rowing machine.